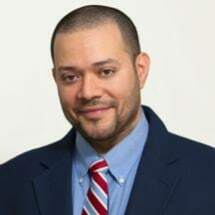 Arthur B. Cordero attended LIU-Brooklyn where he received a dual Bachelor of Arts degree in Education and History. He remained at LIU-Brooklyn where he pursued a Master of Business Administration degree with a concentration in Management and graduated with distinction. Mr. Cordero has a wide-ranging portfolio of experience spanning 20+ years that includes the management of animal hospitals, medical practices, and law firms. As the Director of Finance and Operations at the Law Offices of Neal Rosenberg, Mr. Cordero is responsible for day-to-day firm operations, human resources, staff management, and all financial matters including disbursements of tuition reimbursements and billing.